The International Criminal Tribunal for the former Yugoslavia has found Radovan Karadžić criminally responsible for genocide and war crimes in the 1992/95 war in Bosnia and Herzegovina, including at Srebrenica and in Sarajevo, and sentenced him to jail for 40 years. 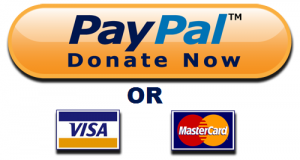 This came at the conclusion of the trial of Karadžić in the ICTY, which covered close to 500 trial days since he was first in the dock at the court in July 2008. The court dismissed charges of responsibility for genocide in other municipalities. It found him responsible for a reign of terror by Bosnian Serb forces against civilians in Sarajevo. In total, 586 witnesses testified or provided written statements in the course of the trial. More than 11 000 exhibits were entered into evidence for the case. Karadžić was a founding member of the Serbian Democratic Party of Bosnia and Herzegovina. He was president of the party from July 1990 to July 1996. He acted as chairman of the National Security Council of the so-called Serbian Republic of Bosnia and Herzegovina (later Republika Srpska). He was president of the three-member Presidency of Republika Srpska from its creation in May 1992 until December 1992, and thereafter sole president of Republika Srpska and Supreme Commander of its armed forces until July 1996. He was indicted on two counts of genocide; five counts of crimes against humanity; four counts of violations of the laws or customs of war. Following his failure to plead, a plea of not guilty was entered on his behalf on March 3 2009. The court upheld one of the counts of genocide, and the other charges, meaning that he was found guilty of 10 out of 11 charges. The ICTY announced its first indictment against Radovan Karadžić and Ratko Mladić on July 25 1995. Charges included genocide and other crimes perpetrated in Bosnia and Herzegovina. On November 16 1995, a second indictment was announced against both accused, including the charge of genocide and other crimes in the area of Srebrenica. The Tribunal confirmed on July 21 2008 the arrest of Radovan Karadžić by Serbian authorities in Belgrade, Serbia. The two remaining ICTY fugitives were arrested in May 2011 –Ratko Mladić – and July 2011 – Goran Hadžić. 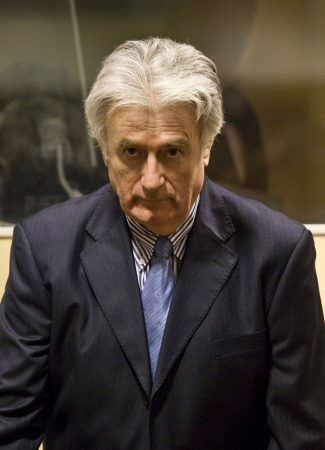 After having been at large for more than 13 years, Karadžić was admitted to the UN Detention Unit in The Hague on July 30 2008. His first initial appearance before the ICTY took place one day later, on July 31 2008.